Overseeding is recomended to thicken bare or thin spots in the lawn. Vertislicing (Verticutting) reel cuts slits in the ground creating the ideal environment for seed to contact soil and high gerimation rates. Top dress with sand, top soil or planting mix to improve lawn soil condition. Billy Goat OS551H has a 25lb seed hopper with adjustable drop settings. A 20" vertislicing delta reel powered by a 5.5 hp Honda gas motor. wt. 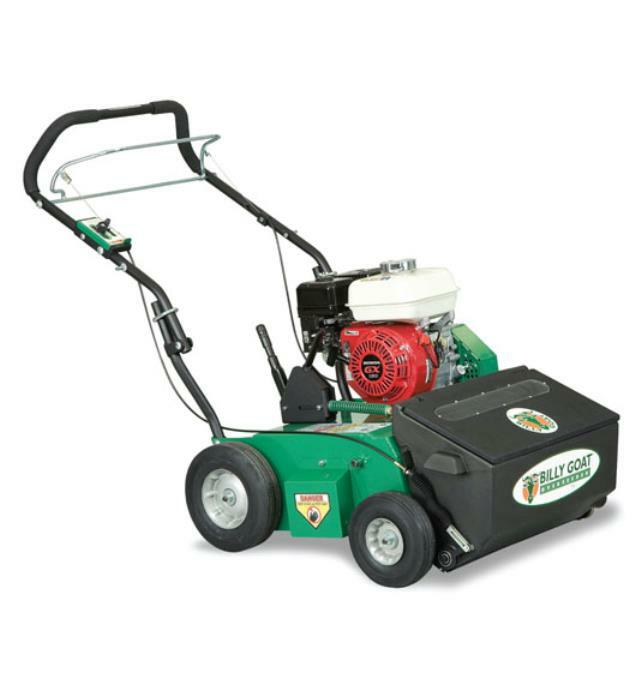 204 lbs length 45.5" width 26.5"
* Please call us for any questions on our slicer overseeder rentals in Portland OR, Gresham OR, Milwaukee OR, and surrounding metro area.